Faith in the power and righteousness of retribution has taken over the American criminal justice system. Our practice of assigning blame has gone beyond a pragmatic need for protection and a moral need publicly to repudiate harmful acts. It represents a desire for retribution that has come to normalize excessive punishment. The American criminal justice system aligns legal criteria of guilt with moral criteria of blameworthiness, yet many incarcerated people, for example, those who are mentally ill or desperately poor, may not be blameworthy for their criminal acts, even when they are criminally guilty. We should stop exaggerating the moral meaning of criminal guilt. We should aim at reducing crime, when it is serious, rather than imposing retribution on lawbreakers as such. 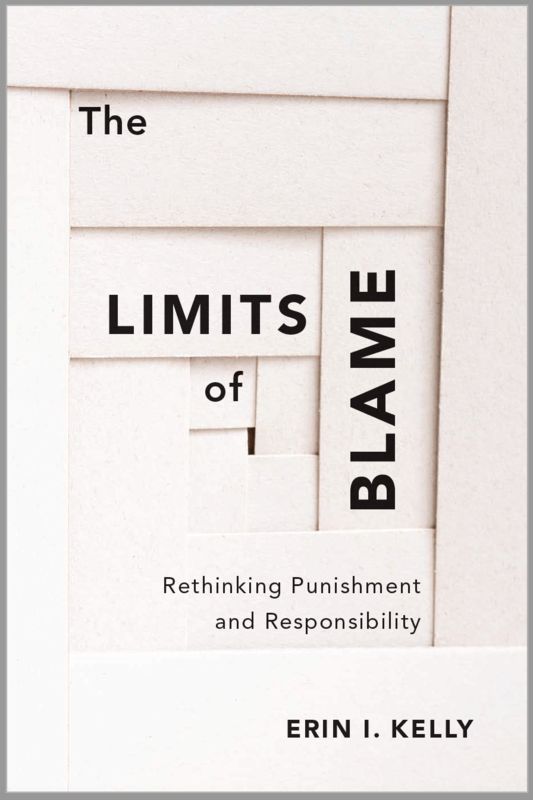 Critical reflection on our culture of blame would help us to refocus our perspective to fit the relevant moral circumstances and legal criteria, and to endorse a humane, appropriately limited, and more productive approach to criminal justice. Almost Me: An Artist’s Story, from Cotton to Leather tells the remarkable life story of African American artist Winfred Rembert (b. 1945). 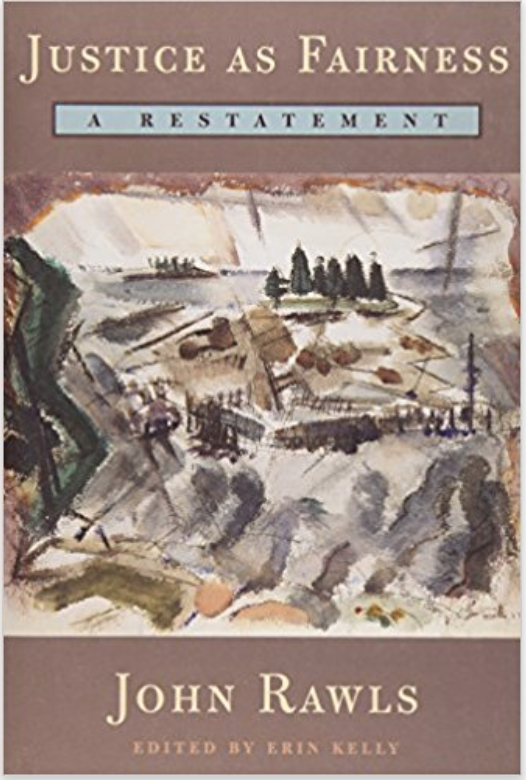 As a boy, Rembert flees the brutal sharecropping system on a Georgia plantation to discover a vibrant black community in Cuthbert, Georgia on the eve of the civil rights movement. His encounters with civil rights violence, his escape from jail, and his own near lynching are harrowing. The following seven years on a chain gang challenge his sanity. Yet in this story of second chances, Rembert is unexpectedly released. He decides to tell his stories as an artist using leatherwork skills he learned in prison. 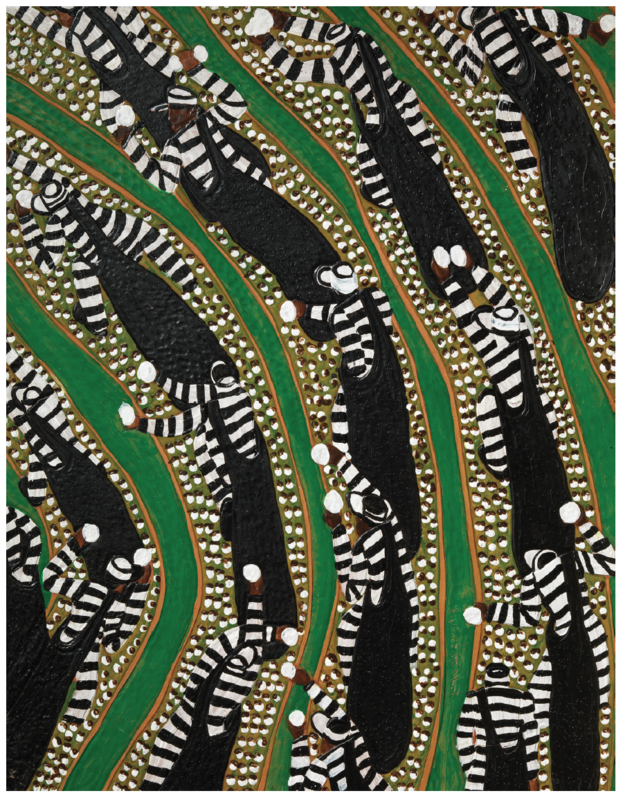 Astoundingly, Winfred produces large-scale works of artistic genius that are purchased by the Yale University Art Gallery and the Adelson Galleries, New York City. The mayor of Cuthbert hands Winfred the keys to the city where he was almost lynched, and Winfred dines with Jimmy Carter to commemorate the fiftieth anniversary of the civil rights march where he was arrested. Editor of John Rawls, Justice as Fairness: A Restatement. Cambridge, MA: Harvard University Press, 2001. 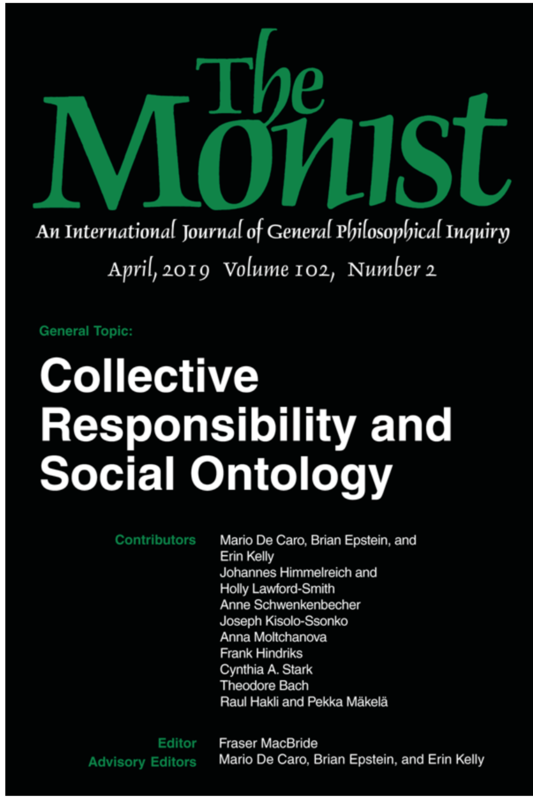 Co-advisory editor, with Mario De Caro and Brian Epstein, The Monist: Collective Responsibility and Social Ontology. Volume 102, No. 2 (April 2019). Papers. My papers discuss the limits of individual responsibility, the nature and sources of social inequality, how disadvantage bears on assessments of responsibility, and how to understand the requirements of justice in a society with a historical legacy of unjust inequalities. Much philosophical literature on moral responsibility is not engaged with political philosophy. By contrast, I try to show how matters of social justice should bear on our thinking about individual responsibility and our assessment of criminal justice institutions. I also have a long-standing interest in the nature of moral reasoning and philosophical theories about it. “The Practice of Liberty.” What is Pluralism? The Question of Pluralism in Politics. Ed. Volker Kaul and Ingrid Salvatore. Routledge Press. Forthcoming. A liberal society justly tolerates some points of view that are irrational and even morally objectionable. They include the distortions of self-interest and group-bias, including some forms of provincial and inegalitarian thinking. Toleration of these viewpoints, when their adherents do not violate the equal rights and liberties of their compatriots, is required by freedom of thought and association. But this makes historically persisting injustices difficult to remedy. Enduring injustices persist in part through the influence of morally objectionable viewpoints that have become entrenched in the background culture. The cultural entrenchment of irrational and morally objectionable points of view is permitted by the practice of liberty. A tolerant political culture should grapple with this difficult problem. “The Historical Injustice Problem for Political Liberalism.” Ethics 128 (October 2017): 75-94. For some groups, injustices from the past—particularly surrounding race, ethnicity, or religion—are a source of entrenched social inequality decades or even hundreds of years later. Liberal political philosophers have underestimated the philosophical relevance of historical injustice. For example, John Rawls does not advocate the importance of redressing historical injustice, yet his political liberalism needs a principle of historical redress, or so I argue. Rawls’s principle of fair equality of opportunity, which is designed to prevent the leveraging of class privilege, should be paired with a supporting principle of historical redress that would contend with partiality and bias in open access to positions. A principle of historical redress provides needed support to a principle of fair equality of opportunity, even in an otherwise well-ordered society. “Modeling Justice in Higher Education.” The Aims of Higher Education: Problems of Morality and Justice. Ed. Harry Brighouse and Michael McPherson. University of Chicago Press. 2015. Some scholars argue that a liberal arts education fosters critical thinking and promotes democratic values. I argue that liberal arts education indeed has this potential but that institutional limitations inhibit its fuller development. Meeting certain institutional requirements of justice—including fair equality of opportunity—is critical to the functioning of colleges and universities as just institutions that support critical and creative thinking, ethical reasoning, and democratic ideals. This argues for revising certain popular conceptions of value and merit in college admissions and in academic scholarship, and for developing a campus environment that will enable all students to engage in critical, creative, and ethical thinking within and beyond the university. “Inequality, Difference, and Prospects for Democracy.” The Blackwell Companion to Rawls. Ed. David Reidy and Jon Mandle. Blackwell Press. 2015. A centerpiece of John Rawls’s political philosophy is the conviction that inequality in wealth and income is harmful to democracy. Rawls believed that it is vital to constrain inequality as a matter of fairness and because socio-economic inequality threatens the equal basic rights, liberties, and opportunities that are essential to democratic justice. Some critics of Rawls have failed fully to appreciate the significance of the threat. They have been too eager to connect social conflict and the weakening of democratic rights, liberties, and opportunities with cultural differences and value pluralism, ignoring the affinity of social fragmentation and the decline of democracy with deep and persisting material inequality. They have failed to appreciate that inequality, not lack of cultural integration, is the principal obstacle to democratic progress. “Publicity.” International Encyclopedia of Ethics. Ed. Hugh LaFollette. Blackwell Press, 2013. An overview of the philosophical literature on the notion of publicity. “Public Reason as a Collective Capability.” Rutgers Law Journal 43 (2012): 295-316. In this paper, I explore a form of reasoning about what justice requires that is appropriate to people, like us, situated in less than fully just circumstances, amongst fellow citizens who may not be committed to justice. I explore the nature and value of the opportunities we have to reason together in public about justice. I do this by introducing and developing the idea of public reason as a collective capability. Understanding public reason as a collective capability helps us to appreciate the demands of mutual accountability. We should resist skepticism about ethical accountability within politics and cynicism about the ethical content of public discourse. However imperfectly, a collective capability for public reason can move us in the direction of satisfying an ethically demanding notion of public justification. “Nonegalitarian Global Fairness.” (with Lionel McPherson). Pogge and his Critics. Ed. Alison M. Jaggar. Cambridge: Polity Press, 2010. Political and economic interdependencies provide reasons to support a humanitarian duty of assistance. They do not imply, as Pogge claims they do, a global egalitarian principle. In fact, there are reasons to favor asymmetries in the requirements of domestic and global justice. We resist Pogge’s claim that an egalitarian conception of domestic justice entails cosmopolitan egalitarianism and we argue that egalitarianism writ globally risks conflicting with autonomy, toleration, and respect across societies. “Equal Opportunity, Unequal Capability.” Measuring Justice: Capabilities and Primary Goods. Ed. Harry Brighouse and Ingrid Robeyns. Cambridge University Press, 2010. The capabilities approach defended by Sen and Nussbaum is often contrasted with a “primary goods” approach, but the advantage professed by the capabilities approach is not so clear. If the point is that a just distribution of goods must be sensitive to differences in individuals’ needs, the debate between a “primary goods” approach and a “capabilities” approach is overblown. For example, John Rawls prescribes adjustments in the distribution of primary goods for special needs, such as medical problems or learning disabilities. That said, there are some interesting differences between these approaches and these differences do not favor the capabilities approach. A capabilities approach sometimes represents the strong position that certain capabilities must be guaranteed equally, or it might maintain a higher threshold for certain capabilities. These priorities come at the cost of restricting some basic liberties and would appear to fit better with comprehensive forms of liberalism than with political liberalism. “Human Rights as Foreign Policy Imperatives.” The Ethics of Assistance: Morality and the Distant Needy. Ed. Deen Chatterjee. Cambridge: Cambridge University Press, 2004. This paper argues for a broad conception of moral responsibility with respect to human rights. It concerns the requirements of justice that extend across borders. I defend a principle of international responsibility for human rights, according to which widespread human rights abuses require an international response. Human rights must be conceived of narrowly, however, if they are to play the role spelled out for them by this principle. Review of Hans Oberdiek, Tolerance: Between Forbearance and Acceptance. The Philosophical Review 112 (2003): 266-269. Defenders of toleration are drawn both to a strong notion of personal autonomy and to multiculturalism as a social ideal. Yet, as evident in Oberdiek’s discussion, these notions stand in some tension with one another. This tension can be avoided by developing toleration as a political value that does not involve a commitment to the ideals of either personal autonomy or multiculturalism. “On Tolerating the Unreasonable.” (with Lionel McPherson). The Journal of Political Philosophy9 (2001): 38-55. Reprinted in John Rawls: Critical Assessments of Leading Political Philosophers. Ed. Chandran Kukathas. New York: Routledge Press, 2002. Not every exercise of freedom should be tolerated. Some philosophers have analyzed of the scope of liberal toleration via claims about the nature of philosophically reasonable disagreements. Their thinking is that rational and moral agents should accept the fact of reasonable disagreement, but they need not tolerate life plans that are demonstrably irrational or unethical. This line of thinking is mistaken. Tolerable pluralism extends beyond the edges of rational and moral thought. Toleration should be understood in relation to a political requirement of justice that protects equal basic rights and liberties for all. The demands of rationality and morality are an important source of pluralism, but they do not determine its proper limits. Review of John Rawls. A Theory of Justice, Revised Edition. The Philosophical Review110 (2001): 421-425. An overview of how the revised edition of A Theory of Justice differs from the original, focusing on the following: an expanded role for a moral conception of the person, revisions to the first principle of justice and the argument for its priority, a more cautious presentation of reasoning behind the difference principle, a clearer rejection of the notion of desert, and emphasis on understanding the original position as a device of representation. “Justice and Communitarian Identity Politics.” The Journal of Value Inquiry 35 (2001): 71-93. Michael Walzer has argued that existing social norms constitute principles of justice. This view is too permissive with respect to the role that the social and cultural aspects of people’s identities play in setting and, in particular, in lowering international standards of minimum justice. I put pressure on Walzer’s view by considering the role public reason should ideally play in getting societies to to cooperate and to accept some responsibility for each other’s affairs. A conception of public reason can provide minimum standards of justice that extend across nations. Review of Philip Pettit, Republicanism. The Philosophical Review 108 (1999): 90-93. Republican theory is organized around the political value of nondomination, but, contrary to Pettit’s claims, concern with nondomination does not obviously secure the democratic rights of political participation. Neither does a singular focus on nondomination offer a clear advantage over the plurality of values—freedom, equality, protection of basic needs, and fairness—that liberals endorse. Republican efforts to rectify nondomination in private realms might also objectionably blur the boundaries between a political philosophy and a comprehensive morality. “Injustice and the Right to Punish.” (with Göran Duus-Otterström). Philosophy Compass. 2019;e12565. https://doi.org/10.1111/phc3.12565 Injustice can undermine the standing states have to blame criminal offenders, and this raises a difficulty for a range of punishment theories that depend on a state’s moral authority. When a state lacks the moral authority that flows from political legitimacy, its right to punish criminal lawbreakers cannot depend on a systematic claim about the legitimacy of the law. Instead, an unjust state is permitted to punish only criminal acts whose wrongness is established directly by morality, and only when criminal guilt is established through legal procedures that meet minimal standards of fairness. These restrictions narrow the proper scope of criminal law and invalidate popular rationales for punishment that construe punishment as blame. “Free Will and the Law.” Routledge Companion to Free Will. Eds. Kevin Timpe, Meghan Griffith, and Neil Levy. New York: Routledge, 2017: 577-89. In criminal law, the concept of free will is best understood as expressing the judgment that a defendant had a reasonable opportunity to avoid criminal sanctions. In turn, “reasonable opportunity” attempts to balance considerations such as the defendant’s liberty interests, his subjective limitations, and the rights of other people not to be harmed. This notion of reasonable opportunity expresses criminal law’s operative conception of institutional fairness: the fairness that obtains when the principles of criminal justice, which comprise general standards, have adequately taken certain basic ethical limits into consideration. This notion of free will is not well calibrated to judgments of blameworthiness and desert. Accordingly, we must understand punishment, when it can be justified, in nonretributive terms. Response to Barbara Fried’s “The Triumph of Blame.” Boston Review.38 (2013): 22. http://bostonreview.net/forum/beyond-blame/blame-corrupts-criminal-justice-system. Barbara Fried raises skeptical doubts about responsibility based on worries about causation as a threat to responsibility. I raise a different concern, about a mismatch between the institutional basis of criminal justice and personal moralities of blame. Criminal law should not be used as an instrument of moral blame. “What is an Excuse?” Blame: New Essays. Ed. Neil Tognazzini and Justin Coates, Oxford University Press. 2013. Our intuitive sense that some wrongdoing is excused prompts questions about how to distinguish between the objects of two different judgments: the judgment that an agent’s act is wrong, on the one hand, and the judgment that the agent is to blame for so acting, on the other. I propose that different normative criteria guide these two different kinds of judgments. Judgments of wrongness express deontological objections on behalf of persons who are affected by the action-type in question. Excusing conditions, by contrast, favor compassion under circumstances that unfairly made it difficult for the wrongdoer to do better. Taking wrongdoing seriously does not entail a blaming response. “Desert and Fairness in Criminal Justice.” Philosophical Topics. 40 (2012): 63-77. Moral condemnation has become the public narrative of our criminal justice practices, but the distribution of criminal sanctions is not and should not be guided by judgments of what individual wrongdoers morally deserve. Criteria for evaluating a person’s liability to criminal sanctions are general standards that are influenced by how we understand the relative social urgency and priority of reducing crimes of various types. These standards thus depend on considerations that are not a matter of individual moral desert. Furthermore, the legitimacy of imposing criminal sanctions in accordance with individualized assessments of moral desert is doubtful when members of socially disadvantaged groups face unequal prospects for being subjected to criminal justice sanctions. Social injustice is an intolerable context for distributing punishment according to individual desert. A rights-protecting scheme of criminal justice might permissibly burden individual offenders, but not as an expression of what they morally deserve. “Reparative Justice.” Accountability for Collective Wrongdoing. Eds. Tracy Isaacs and Richard Vernon. Cambridge: Cambridge University Press, 2011. When people participate in an injustice, they may incur reparative obligations. Reparative obligations will take different forms, depending on the nature of the injustice and a person’s relation to it. When the injustice in question is a crime, reparative obligations could be a basis for criminal punishment. I argue that reparative justice is an appealing alternative to retributive justice. I also argue that reparative approach can be a fitting response to the various forms collective wrongdoing might take. “Criminal Justice without Retribution.” The Journal of Philosophy 106 (2009): 440-62. The rationale for punishment is most plausibly forward-looking, in this sense: when people break criminal laws, they are liable to criminal punishment, but only if punishment helps to achieve the protection of people’s basic rights by deterring crime. The social goal of crime prevention sets my account of punishment apart from retributive views. Furthermore, I examine how considerations of fairness harmonize with the reasons we have to criminalize certain types of behavior. These considerations enable us to see that the goal of protecting a system of rights by deterring crime can be advanced in a way that is fair to criminal wrongdoers, even though it does not presuppose the moral capacity of a criminal wrongdoer to have avoided his crime. Thus we should reject the retributive view that choice under fair conditions establishes that people who commit crimes deserve to suffer. “Criminal Justice Minded- Retribution, Punishment and Authority.” Hip Hop and Philosophy: From Rhyme to Reason. Ed. Derrick Darby and Tommie Shelby. Chicago: Open Court, 2005. The “payback” sentiments expressed in gangsta rap sound like retribution, the very sentiments many law-abiding citizens would direct at gangsters themselves. Yet there may be no meeting of the minds here. Retribution is attractive to many people as a justification of the state-sanctioned, legal practice of punishment. Some gangsta rappers and other hip-hop artists share this mainstream perspective. Others are skeptical about whether our social institutions are just enough to make the practice of punishing criminal offenders legitimate or, more radically, about the prospects for the just or justifiable use of state power to punish offenders under any circumstances. This paper examines the implications of racial and economic injustice for thinking about the limits of legitimate government and concludes that the justification of penal “justice” in an unjust society is precarious. “Punishment.” (with Hugo Adam Bedau). Stanford Encyclopedia of Philosophy, 2003. https://plato.stanford.edu/entries/punishment/. An overview and history of philosophical writings about punishment. “The Burdens of Collective Liability.” Ethics and Foreign Intervention. Ed. Deen Chatterjee and Don Scheid. Cambridge: Cambridge University Press, 2003. Philosophers who resist the notion that collective liability distributes to individual group members often do so based on judgments of what persons deserve. This paper argues that we should distinguish between liability and desert. Persons may sometimes legitimately be forced to bear serious costs, for the sake of justice, even when those persons or the larger group cannot be said to deserve the costs that are imposed upon them. Collective liability, as I will understand it, can be less metaphysically and morally exacting than the notion of moral desert. But although the criteria of collective liability fall short of establishing desert, they do not neglect our culpability altogether. “Doing without Desert.” Pacific Philosophical Quarterly83 (2002): 180-205. The idea of “moral responsibility” is typically linked with praise and blame, and with the notion of “the voluntary.” It is often thought that if we are free, in the relevant sense, we may deserve praise or blame; otherwise we do not. But when we look at whether and why we need the notions of praise and blame, we find that they are not as intimately connected with desert as many philosophers have thought. In particular, this paper challenges the idea that forms of evaluation and behavior tied to our “reactive attitudes,” especially resentment, best further morality’s aims, properly understood. “The Naturalist Gap in Ethics.” (with Lionel McPherson). Normativity and Nature. Ed. Mario De Caro and David Macarthur. New York: Columbia University Press, 2010. There is a truth in moral naturalism that moral cognitivists typically have shunned. Moral naturalists challenge the reason-giving authority of morality. To a certain extent, we are sympathetic to their challenge. We argue that moral reasons gain their “authority” only when they are accepted by moral agents, and that persons qua rational agents do not have to accept moral reasons. Yet we agree with moral cognitivists that moral judgments are reason-sensitive, and that this feature of moral judgments cannot be understood exhaustively or reducibly in psychological terms. “Prisoner’s Mistrust” (with Lionel McPherson). Ratio 22 (2007): 57-70. This paper argues that the standard, non-repeated prisoner’s dilemma poses no true dilemma about rationality. What the prisoners should do, unless they are selfless, depends on the commitment of trust that they have or lack for one another. The relevance of trust mitigates the apparent conflict between individual and collective rationality. If the prisoners trust one another, pursuing a joint strategy would be rational for them. In the absence of trust, pursuing an individual strategy would be rational. The solution that is supposed to be puzzling—because each prisoner confessing is worse for both than the alternative on which both remain silent—is the rational solution for persons who have no good reason to trust one another. Philosophers have been misled by the apparent availability of the better alternative. Collective rationality, despite its attractions, is not relevant for persons who do not share commitments. When persons do share commitments, there is no unresolved conflict between their individual and collective points of view. “Comments on Sterba’s The Triumph of Practice over Theory in Ethics.” Journal of Social Philosophy 36 (2005): 382-387. “Stability and Partiality in Hume’s Moral Philosophy: A Response to Louis Loeb.” Hume Studies30 (2004): 329-338. Hume’s moral philosophy is a sentiment-based view. Moral judgment is a matter of the passions; certain traits of character count as virtues or vices because of the approval or disapproval they evoke in us, feelings that express concern we have about the social effects of these traits. A sentiment-based approach is attractive, since morality seems fundamentally to involve caring for other people. Sentiment-based views, however, face a challenge. It is clear that our affections are often particular; we favor certain persons over others. This poses a problem when it comes to determining the proper content of morality. The ties of sentiment would seem to be in tension with the aspirations of morality toward impartiality and universality. This paper asks whether a sentiment-based account of moral judgment can adequately correct for distortions in moral thinking that result from self and group interest. I believe this question is especially urgent for Louis Loeb’s interpretation of Hume, and I am not convinced that Loeb provides a convincing response to it on Hume’s behalf. Louis Loeb Response. “Against Naturalism in Ethics.” Naturalism in Question. Ed. Mario De Caro and David MacArthur. Cambridge, MA: Harvard University Press, 2004. Reductive ethical theories attempt to analyze the nature and content of morality without relying on evaluative concepts, or at least none other than those employed in the natural and social sciences. The aim is to describe what people are doing when they engage in moral evaluation and what would give them reason to accept a set of norms as justified. At the same time, the hope is to avoid endorsing any substantive position in ethics. Moral philosophy thus attempts to be less controversial and more objective. This paper argues that an adequate account of the nature of our morally legitimate interests and of the norms compatible with due respect for those interests must rely on substantive moral judgments. This means that ethical theorists must employ rather than simply describe or reference our evaluative concepts. An empirical reduction of these judgments cannot fully be carried out, and an empirical reduction of the justification of moral norms cannot be given. “Moral Agency and Free Choice: Clarke’s Unlikely Success Against Hume.” Archiv für Geschichte der Philosophie 84 (2002): 297-318. Hume argued against claims about the role of reasoning in moral thought that had been defended by moral rationalists. In doing so, he criticized the doctrines of the rational intuitionist Samuel Clarke (1675-1729). Clarke has not received much attention from contemporary moral philosophers, and given that rational intuitionism has long fallen out of favor, he may seem an unlikely thinker to defend. Nevertheless, attention to his writings reveals some interesting ideas about the difference between motives and causes. By considering how Clarke could respond to Hume, I believe we can make progress in understanding the nature of moral agency and what it is for reasons to have a justifying as well as an explanatory role. “Habermas on Moral Justification.” Social Theory and Practice26 (2000): 223-249. Many moral theories have an epistemic orientation: they are preoccupied with uncovering moral truths. By contrast, a practical orientation is attentive to the aims of our moral practices—what we are doing when we deliberate morally with other people. Habermas’s “discourse ethics” has a practical orientation: legitimate ethical norms are those that would be affirmed by free and symmetrically situated participants to ideal discourse who aim for agreement. His analysis of the connection of our social practices with the activity of exchanging reasons in ideal discourse helps us to see what is involved in working out a practical (versus epistemic) approach to ethics. There are moments in Habermas’s thought, however, that show his reluctance to give up the search for foundational moral truths. I defend a strategy for justifying ethics that is less epistemically ambitious than the one set forth by Habermas. This strategy nevertheless finds support in aspects of Habermas’s philosophy. “Personal Concern.” Canadian Journal of Philosophy 30 (2000): 115-136. Both Kantian and utilitarian moralities have been charged with demanding a kind of impartiality that leaves us with too little space for developing ourselves and our friendships, family relations, communities, and nations in the ways best suited for us. Surely, each of us is entitled to some measure of personal autonomy to develop and foster “partial” concerns in the form of personal projects and relationships. What should not be rejected in “impartialist” conceptions of morality, however, is the requirement that we reasonably be able to think that our behavior is compatible with the fundamental interests of persons generally. This ethical requirement conveys an idea of what it could mean to say that all persons have equal moral status. Those who are committed to standing in morally acceptable relations with other persons will grant deliberative priority to the equal moral status and claims of persons generally, whether or not doing so expresses personal concern between the affected parties, broadens the set of values they share, or strengthens their personal goals or sense of common purpose.